For a long time, I hesitate to put my thoughts in writing. My belief that you would walk out of jail and we could sit down and talk as we use to do, has faded with time. But never broken, for faith is what keeps Eritreans alive. It has been decades since the last time I called you and left a voicemail at your house’ phone. You did not call me back, but sent a message to me. “Be strong! We will meet again”, you said. “When? “I asked. Then silence. Silence since then. Where do I start to tell about the Petros I know? Where do I start telling and where do I start not telling? In my mind, our laughter in Amberbeb and then Europe and then the USA still resonate as a vivid and loud echo. Because signs of the ordeal of jail is not something I know directly. You and I talked about my beloved Berhane prison’s time. You held my hand when I sobbed. You showed happiness when you met my kids and told them about their Dad. They still remember you as “the tall gentleman” that came to our house and personally told them about their Dad. You took time to visit them and gave up time from your so many meetings to pay respect to Berhane and his wife and kids. Are you afraid of being forgotten? Do not. I never will. We never will. I cherish and want a repeat of the time when you and your wife Aster invited me to a Christmas dinner at your house in Asmara, and your beautiful son Simon (ሳይሞን) rush to give me a hug; then Simon found a nail (መስማር) on the floor and gave it to you and said “Baba etom koluut keyrekhbuwo eba ባባ! 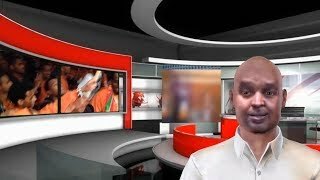 እቶም ቆልዑት ከይረኽቡዎ’ባ” we clapped to his comments filled with maturity from such a little boy not even reaching his father’s knee. I bet you do not have photos of your kids. They are all grown up I am told. They would look eye-to-eye with you and their Mom now. I hope to see that day. I know you and Aster long for it. I remember your political debates. You would tell me that Eritreans like Berhane are political prisoners and political detainee. That they were not willing to change their opinions and love for Eritrea. But they were willing to give their life and maybe remain in prison for life. You are there now and I am lost. You were the one to tell me that the Ethiopian political prisoners I saw playing soccer in the free Eritrea were not to be killed by a firing squad because Eritrea never believed in killing an un-armed man or a political prisoner, even if member of the enemy/occupier. Nor did Eritrea believe in torturing human beings, but believed in a fair court of law. You are on the other side now, yourself a prisoner with no court day. It is such a bitter fact of life I have to face and I need some strength, enough to make me accept this reality. 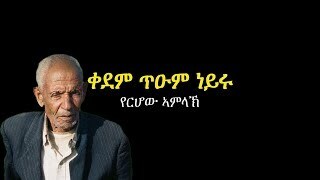 I remember when you would sit with many of us and share jokes, but then the serious talks would come along and you left many Eritreans like me believing in “controlling our minds” Do you remember Petros? 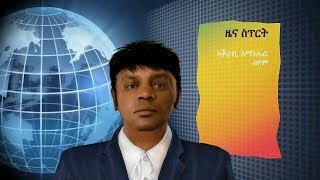 Do you remember us, the “deki Edaga Hamus (ደቂ ዕዳጋ ሓሙስ), the Dekee Amba Galliano (ደቂ እምባጋልያኖ), the mix race Eritreans” you put us all at the same level of respect and made us acquire a stoic serenity and a profound conviction that an Eritrean bares within her/his being as a source of moral strength and believe that all depends on a will, on the iron coherence that will never lapse if the ultimate goal is the wellbeing of our beloved country, Eritrea. You told us “one can be pessimistic because of fear, but you need to turn all that into optimism because of belief and will.” Do you remember that Petros? In my nightmares, I saw my beloved Berhane giving up to hopelessness because he could not give paternal guidance to our children. Do you feel the same way Petros? We cannot replace you or Aster, but know that your kids are loved by an entire country. Do you remember me telling you how much Berhane loved his Mom? Do you miss your own now Petros? I am told she is standing strong. That is how Eritrean mothers are. Please remember us as your group that sat around you and shared jokes, eat at the same “maadee መኣዲ” and then learned from you on how to canalize love for country and dominate anger and fear. And always, always you told us “to control our minds” to remain focused on what is good for Eritrea. Many miss you Petros! I miss our laughter, I miss our strong exchange of different opinions, I miss how many times I walked out on you and you told me that I would be disciplined next time for doing so. But you never had the heart to “discipline me” but always had a big heart to listen and then give more advises. I gave you a poem I wrote - the French magazine Jeune Afrique published – and you always kept it under the glass covering your desk. You told me “I do not read French, but I can read the title “Erytheree, Mon amour” (Eritrea, my love ኤርትራ ፍቕረይ). Aster liked it too. Do you remember that my friends? I miss the Eritrean leader who got up from his office’s chair when he saw me walking into his office all dressed in black because I was coming from searching for my husband’s remains at “Enda Afras እንዳ ኣፍራስ” compound and as soon as I asked you for an Eritrean flag (ባንዴራ ኤርትራ) to collect the remains, you untied the large Eritrean flag standing behind you and told me “Abzya keberyom Kiki” ( ኣብዚኣ ቅበሪዮም፡ ኪኪ)”. You were emotional fearing for me, but I told you that I kept “control of my mind”. You shook my hand and gave me the flag you personally and methodically folded with such respect. A respect a tegadalay (ተጋዳላይ) gives to another tegadalay (ተጋዳላይ). I told Berhane. I told him then that a hero named Petros Solomon shared an Eritrean flag and asked me to bury Berhane’s remains and the remains of many like him. I am telling the world now that I still hope to sit down with you and laugh at jokes, hold your hand and tell you “welcome back AAmenaa (ዓምና) and then seek your advice on how to serve Eritrea. I hope to see Aster too, and she and I share a meal at your house. Like we did that far away Christmas day in Asmara. Far away day, but still so close to my heart. 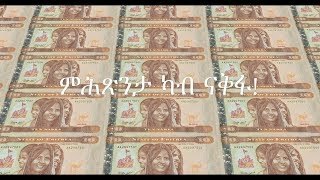 We miss you AAmeena (ዓምና)! !